Reina had walked for more than 20 days, in the rain and cold and mud. 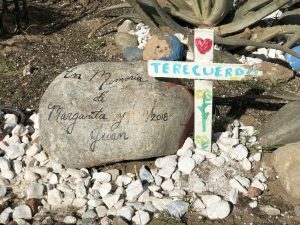 Grief-stricken after the loss of her son, she walked with one destination in mind: a country she hoped would be her safe-harbor, a new beginning, free from the fear and the violence she had known. She walked with thousands of others to find safety in numbers. She wasn’t trying to make a statement by walking. The last thing she wanted to be doing was walking. Walking was her only and final resort. Her whole aspect changed. She stood up straighter, her voice was firm, her hand clasped around the cross that hung from her neck. “My hope is in Christ,” she said. We talked a little more, I asked the name of her son, so I could keep them both in my prayers. I asked if I could give her a hug. I said, “God bless you.” And then the short encounter was over. But it is still with me. Somehow in the midst of so much pain, so much suffering, illness, and traumatic stories, there was hope. The late December sun beat down on us, shining somehow brighter on the shortest day. The ground was newly dry after rains. The refugee camp in which we stood, outside Tijuana, was packed with tents crammed upon tents. 2,500 people in an impossibly small area. A mariachi band had just arrived to raise people’s spirits. Christmas was nearly upon us. There was laughter and children playing. Somehow in the midst of so much pain, so much suffering, illness, and traumatic stories, there was hope. Hope as palpable as that bright warm sunlight. Hope as strong as Reina’s hand clasped around the cross. Reina ministered to me, and I to her, by our presence with each other. It was a mixture of story, prayer, despair, love, and hope. Christ, the incarnate one, was there. Incarnation is the beating heart of ministry. God became one of us, and ministered among us. Not as an all-powerful being, comfortable in his own right, helping others out of his comfort. God walked and was thirsty and hungry and cranky. God was a refugee, was without a place to lay his head. God grieved, was lonely, betrayed. God was beaten and bled and died. And through it all God ministered. In each and every moment, God was incarnate. Jesus reached out his hands and blessed and healed and fed and forgave. Jesus embraced and wept and raised the dead. Jesus taught and counseled and listened. Through it all, through each and every moment, Jesus loved, and he showed that love with his presence. It seems to me that was an easier instruction to follow when it was first uttered. Sure, it was crazy to drop everything and follow Jesus, but at least they could see him, literally follow behind him on the dusty path. I know I have spent so many hours of my life wondering what God wants me to do next, which path I should take. In the hectic, high-tech, commercial, Western world, it is easy to get off-track, to be focused on results and measurable outcomes, the most efficient or frugal choice, losing sight of the most obvious thing about following Jesus. I know I have! There is no way to follow Jesus without being present. Incarnation is the beating heart of ministry. So perhaps instead of wrestling with which path I should take in order to follow Jesus, I should be starting with the ways in which I am not following. In all my time-saving efficiency, in my packed schedule of getting things done, have I carved away or trimmed down the most important parts? Am I really present with the people who are in front of me each moment? Do I practice incarnation? Is it possible that ministry is what happens in between all the other things I do? God was a refugee, was without a place to lay his head. God grieved, was lonely, betrayed. God was beaten and bled and died. And through it all God ministered. In each and every moment, God was incarnate. I learned in seminary about “the Good Samaritan Study” undertaken in the 1970s by a couple of social psychologists. It had an impact on me, perhaps in part because the subjects of the study were seminary students, too. They were given the task of preparing a sermon on the parable of the Good Samaritan. One by one, they were told either they were late and they needed to hurry, or they had plenty of time but might as well head over. On their way they came across a man clearly in distress and need of help. Some 63% of the unhurried seminarians stopped, but only 10% of those who were hurried stopped. 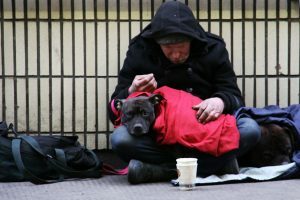 How many times in my own life, I wondered, had I been too absorbed in my own tasks to be present with someone in need? And if I kept myself so busy, filling every available moment, did that mean that I would always pass by on the other side? Now I am a priest. Ministry is my job. But that does not mean that I am always following Jesus. There are tasks that must be done, emails that must be sent, events that must be planned. Each one of them serves a larger purpose, and is part of ministry. How many times in my own life, I wondered, had I been too absorbed in my own tasks to be present with someone in need? 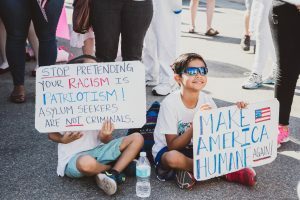 From the time the caravan from Central America entered the news, it was in my thoughts. I read news articles, saw pictures. I even read an account of a pastor who had joined the caravan to walk with them for a time. I was blown away by that, and I heard the beating heart of ministry in his story. My heart was heavy with sadness, and perhaps with longing. Then I got an invitation to go to the refugee camps in Tijuana. My boss was going with an interfaith group, and she invited me to go along. I said no. I was too busy. I had a planning meeting to attend that day. So I didn’t go. But I could hear that beating heart, calling me to presence. I believe that God doesn’t give up on us, God just keeps calling. Weeks later, just before Christmas, another invitation came. And that is how I met Reina. The heart of ministry is a beating heart. It will not be ignored. Christ is not in the tomb, Christ is with us. We call on his name, we gather in his name, we go out into the world in his name. Beating, beating, beating, his heart calls us to incarnational presence. Robin Denney is a priest and an agriculturalist. 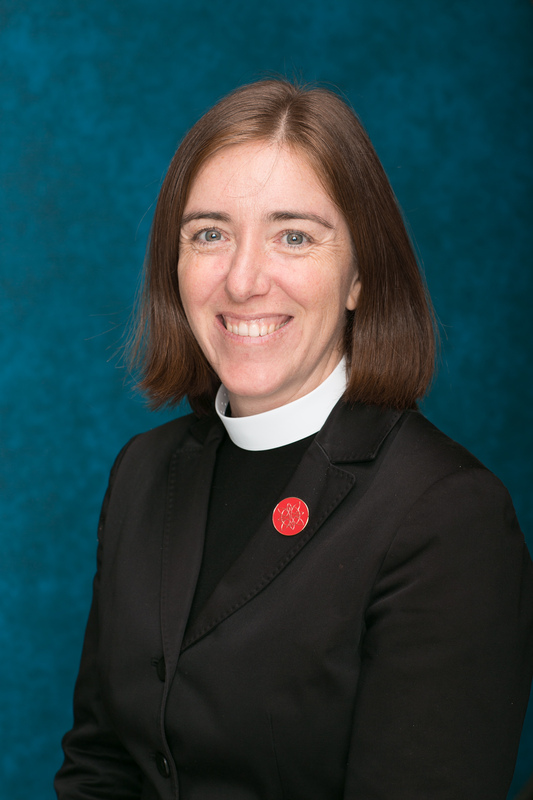 She serves as Associate for Christian Formation at St. Cross Episcopal Church, Hermosa Beach. She graduated in 2017 from Virginia Theological Seminary. Before seminary she worked as a church planter in Gonzales, California. Prior to that she was an agricultural missionary for the Episcopal Church, serving in Liberia and South Sudan. Featured image: : Daniel Arauz, “Asylum Seeker to reach Tijuana” (November 23, 2018). Via Flickr. CC2.0 license. Body image 1: Daniel Arauz, “Asylum Seekers in Tlaquepaque, Jalisco” (November 19, 2018). Via Flickr. CC2.0 license. Body image 2: Nick Fewings, “Man’s Best Friend” (November 16, 2018). Via Unsplash. CC2.0 license. Body image 3: Samantha Sophia, “Families Belong Together” (November 10, 2018). Via Unsplash. CC2.0 license.